More than one million people gathered in the US capital to see Barack Obama sworn in as America's 44th president. The event was captured by the Earth-imaging satellite GeoEye-1 which took these pictures of from an altitude of 423 miles (680 km). 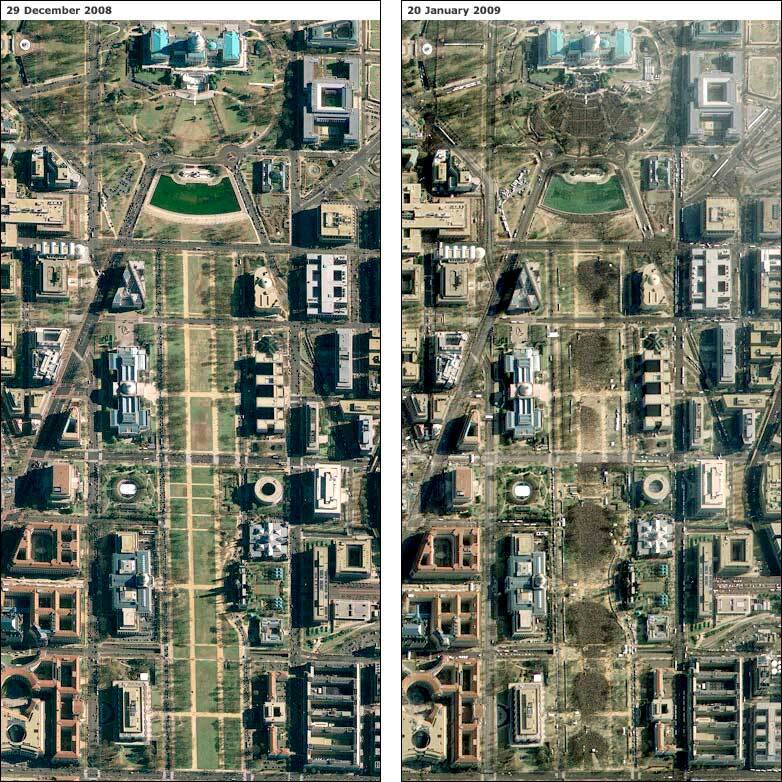 The picture on the left was taken in December and shows an empty National Mall; to the right you can see the vast swarms of people who turned out to see the inauguration. Come back each weekday to see another photo from the day's news.